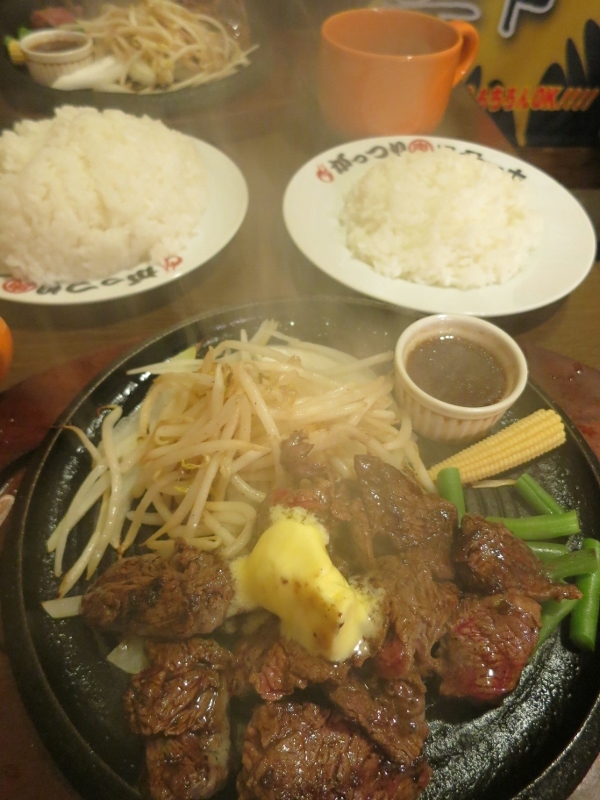 Compared to other more carnivorous countries, steak restaurants in Japan are relatively rare (no pun intended). So when a friend invited me to go to Gattsuri Steak, I was in. 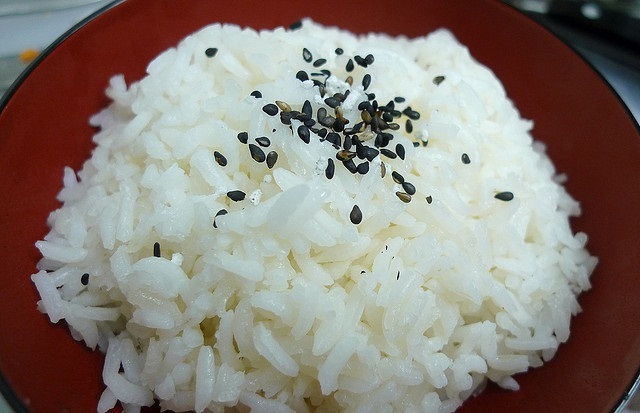 In Japanese, “gattsuri” means “hearty.” I took this as a hint to get the smallest size at 200 grams (1,300 yen). The bravest among us may go for the 3 pound (1.4 kg) steak at 6,700 yen, but neither of us had the time, money or stomach for such a venture. To order, you use the ticket vending machine right at the entrance and hand your ticket to the staff as you find a seat. 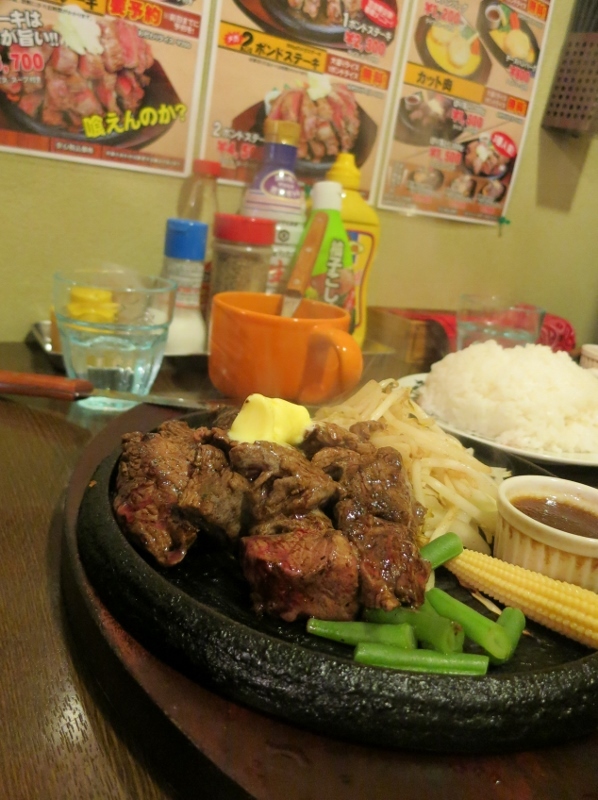 The steak itself came out on a teppan plate, still sizzling. In Japanese on the wall, a sign declared that all steaks are served rare, so you will need to leave it on the teppan for as long as you wish to have a cooked. I’m a fan of medium rare, so I didn’t waste time eating. I’m not a steak connoisseur, so I’m afraid that my thoughts are very simple: the steak tasted good. If anyone more knowledgeable about steak visits, please let us know your opinion! The signs on the wall give a few other helpful hints. First, don’t pour the accompanying sauce on the steak. Instead dip the steak in the sauce. Even though I didn’t notice this sign before digging in, fortunately I went for dipping. Second, help yourself to seasonings. On every table, you’ll find plenty of seasonings, such as the salt, yellow mustard, yuzu (Japanese lemon) pepper, and soy sauce. I wish I had noticed this sign before digging in. 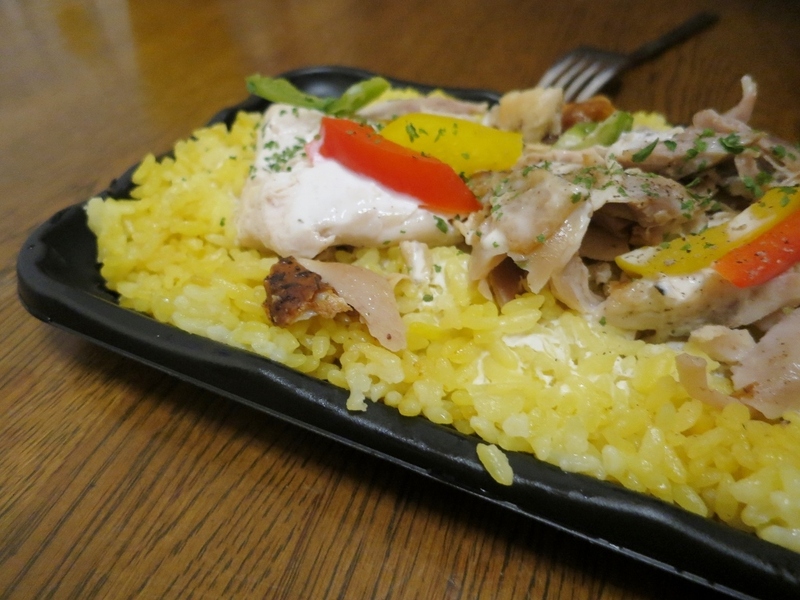 I love non-spicy mustard, which is not usually standard at restaurants in Japan. For the summer months, you can use the uchiwa (Japanese-style fans) on the wall. During all seasons, don’t forget to use the bibs provided. The steak tends to send juices flying as it sizzles on the plate. 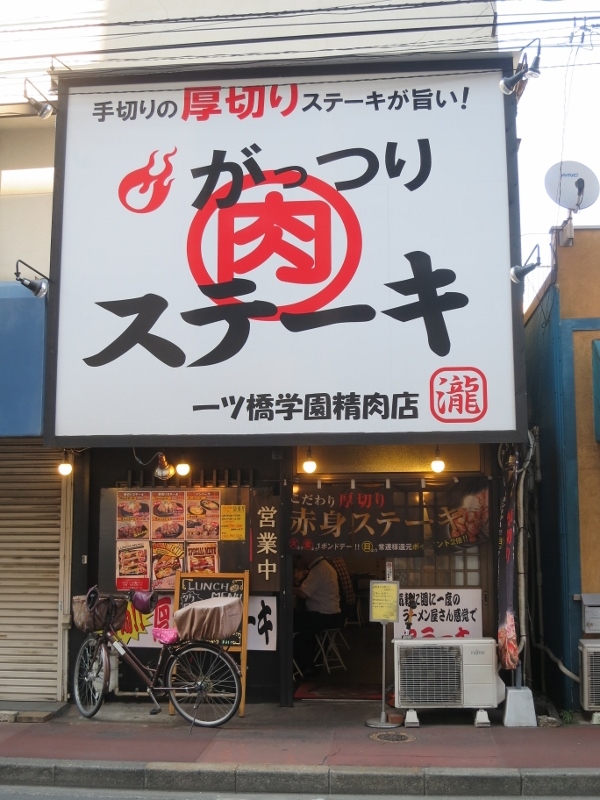 The Gattsuri Steak restaurant doesn’t appear to have an official website, but there do appear to be two in Tokyo: One in Kodaira City near Hitotsubashi Gakuen Station (where I visited) and the other in Tachikawa City. All in all, I enjoyed the visit and will likely be going back. Have you visited Gattsuri Steak?